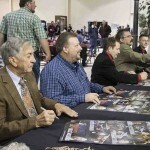 This time on “The Allen Report”, we make a trip by air to Auburn, Indiana, for the fifth consecutive year. 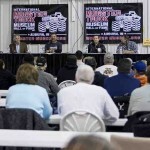 Auburn is known as the former “little Detroit” where cars and racing have shaped the town since the 1930’s and still do, with a great number of automotive museums to attend. 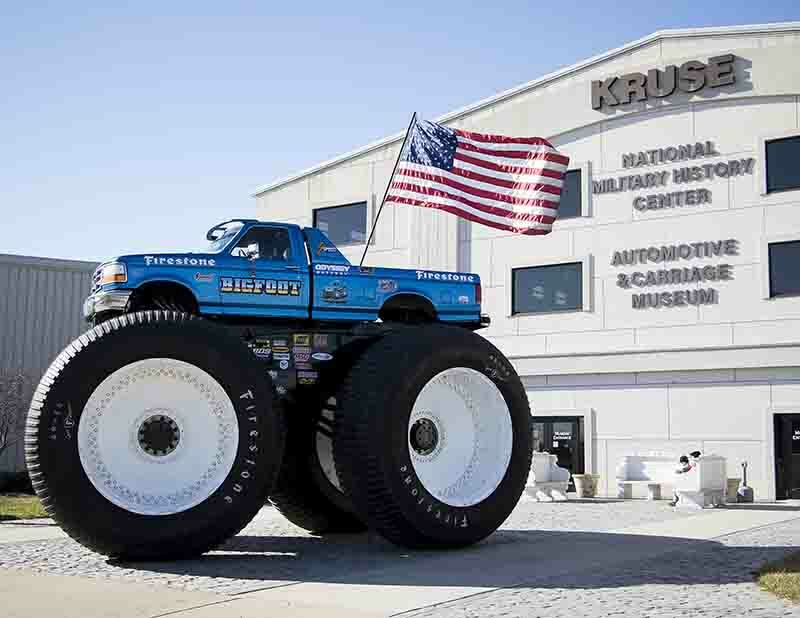 Once more, we went to the Kruse Automotive and Carriage Museum for the Fifth Annual International Monster Truck Museum Hall of Fame Induction Ceremony & Reunion. 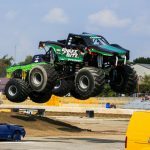 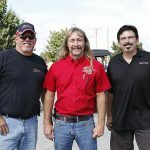 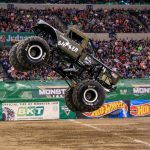 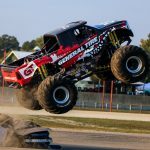 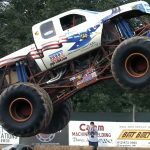 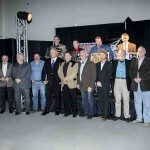 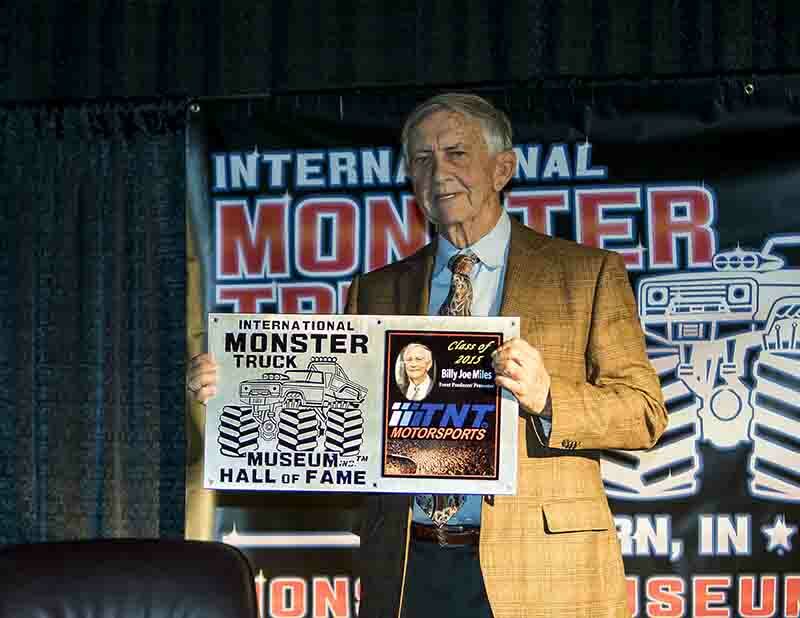 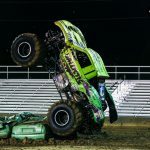 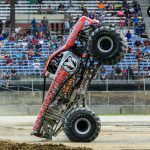 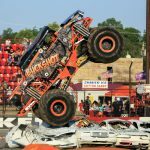 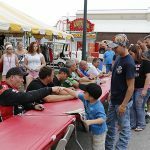 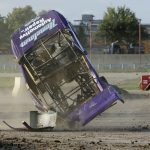 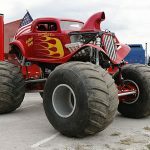 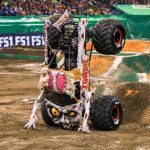 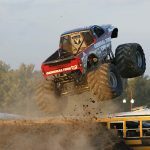 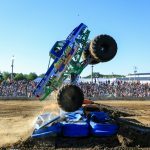 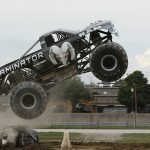 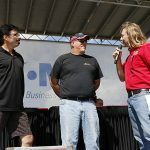 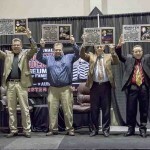 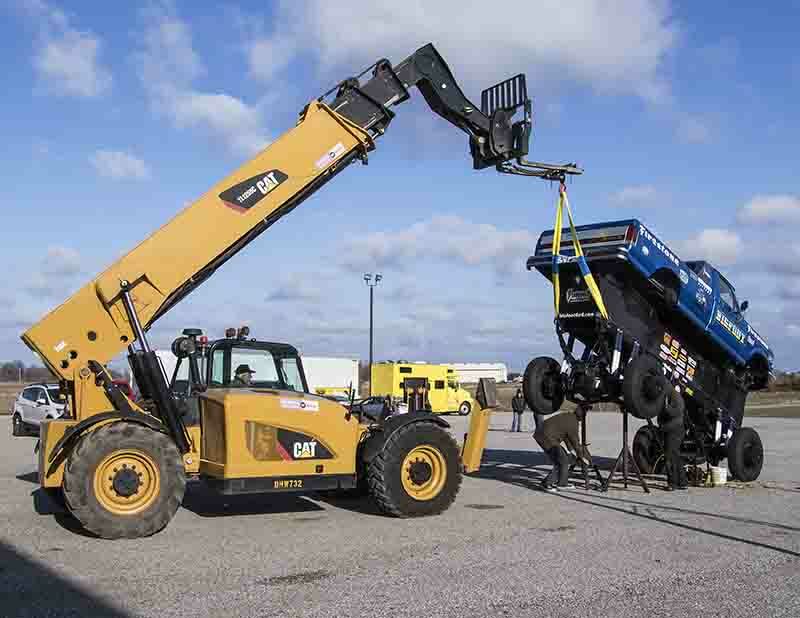 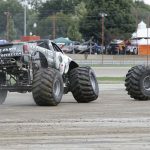 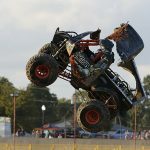 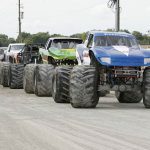 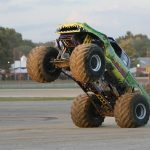 Nearly 300 people from places like Texas, Maryland and Washington State were in attendance to watch four iconic monster truck personalities become the twenty-second through twenty-fifth inductees into the International Monster Truck Museum Hall of Fame. 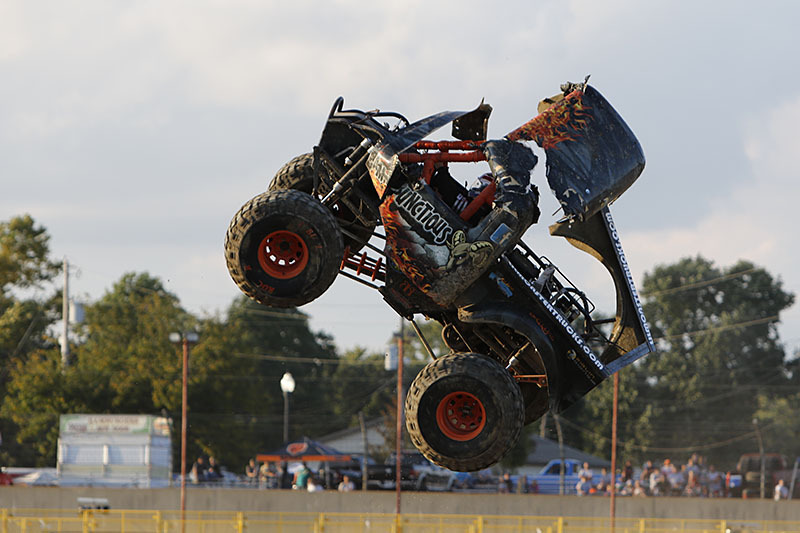 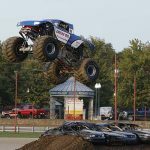 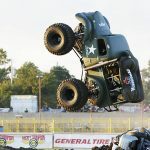 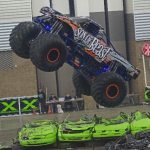 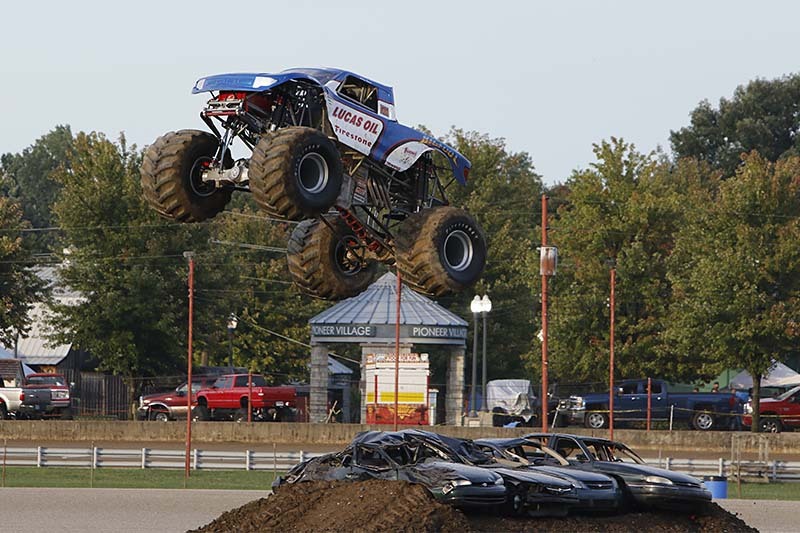 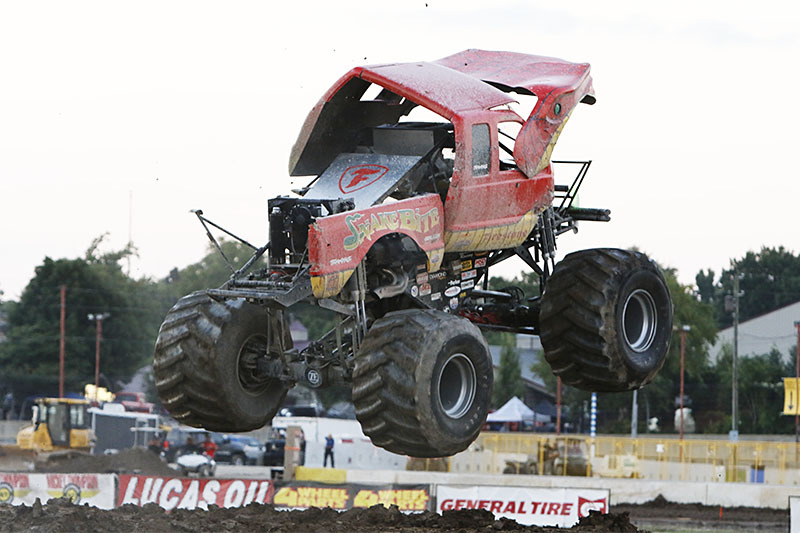 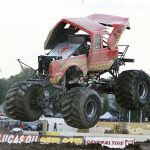 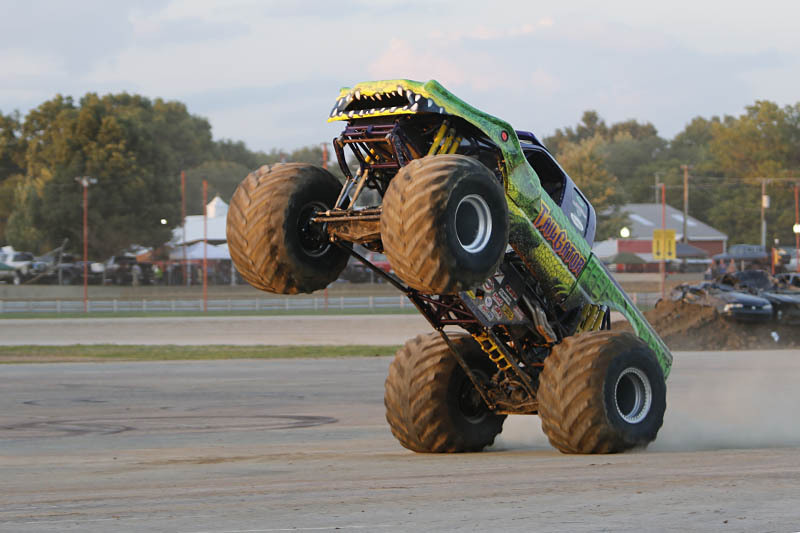 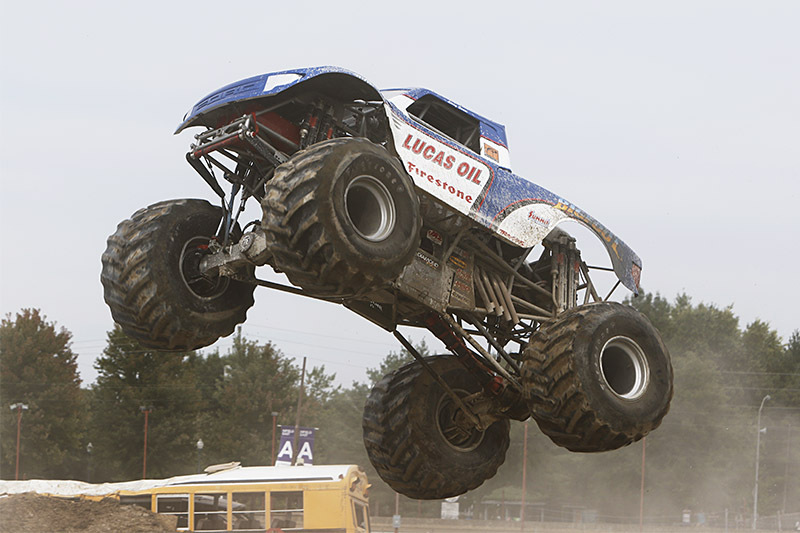 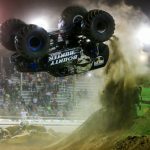 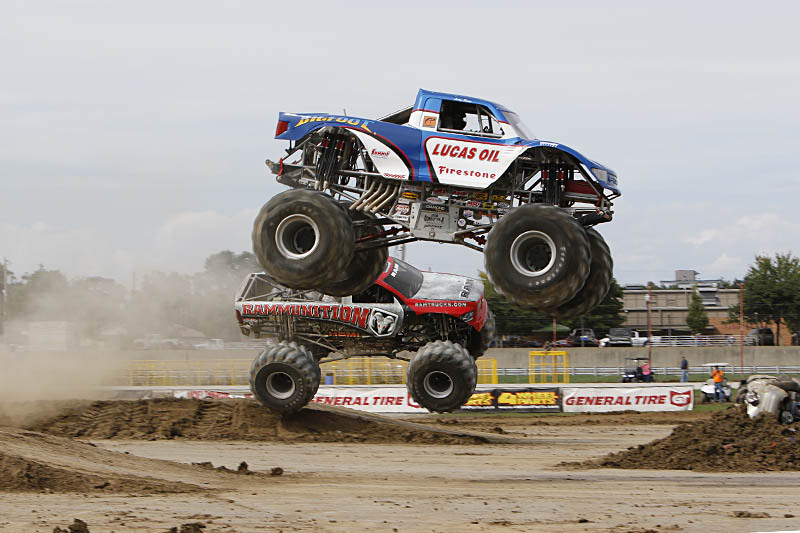 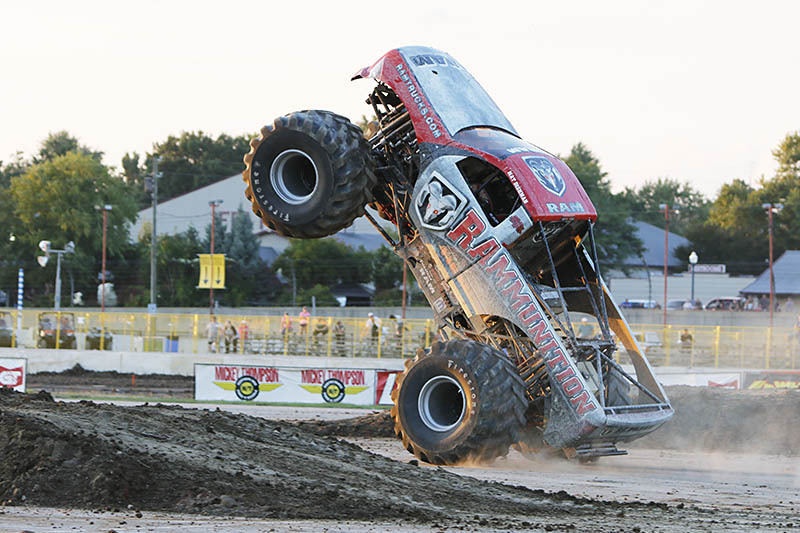 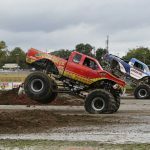 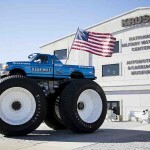 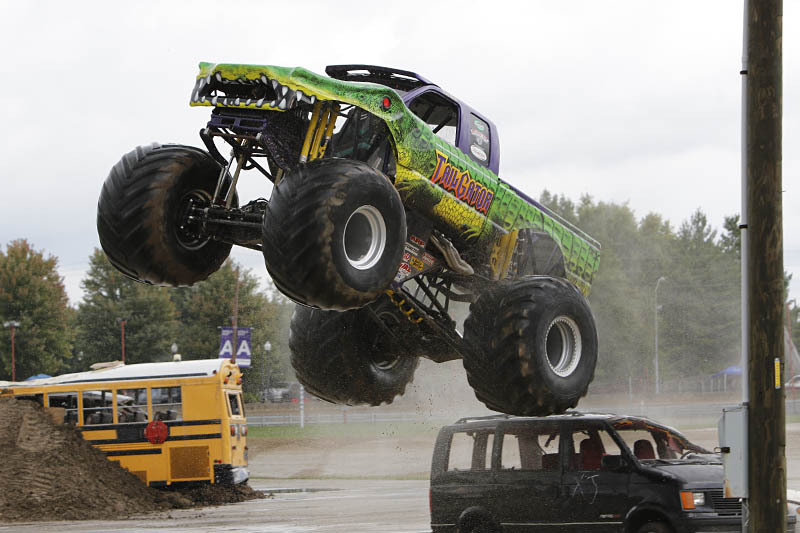 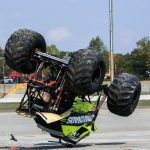 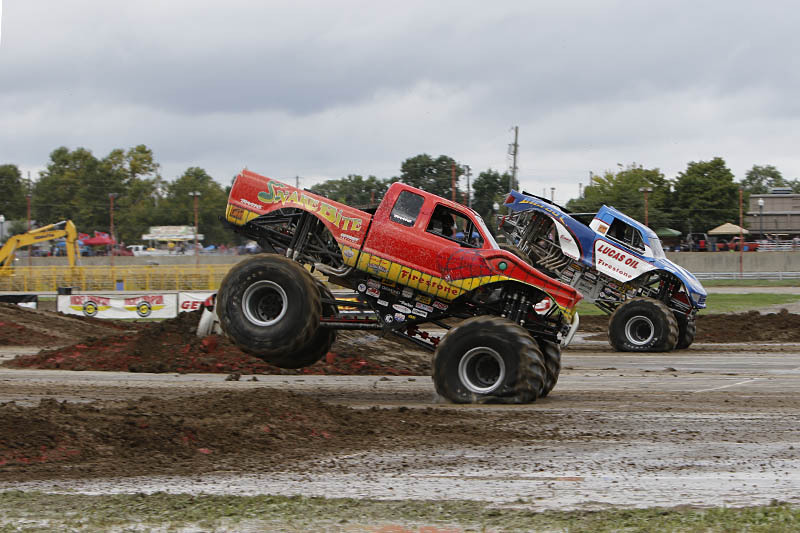 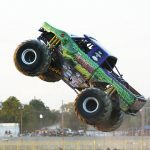 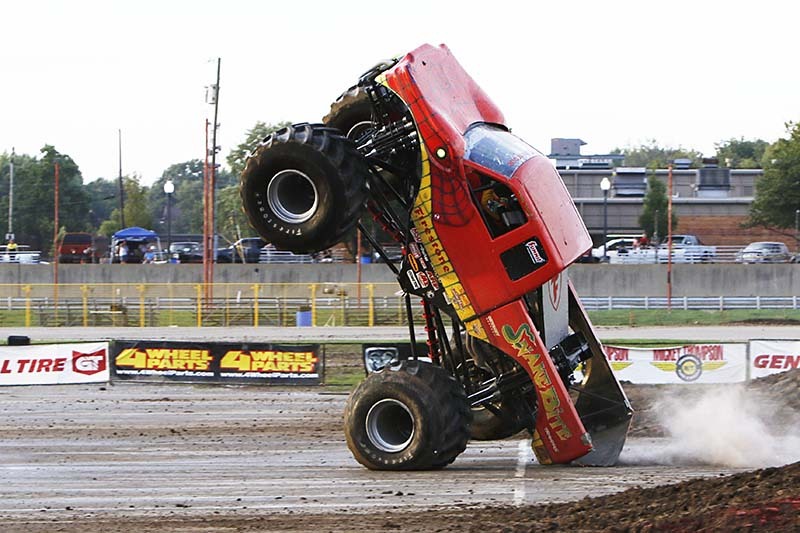 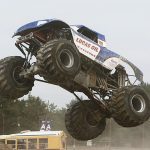 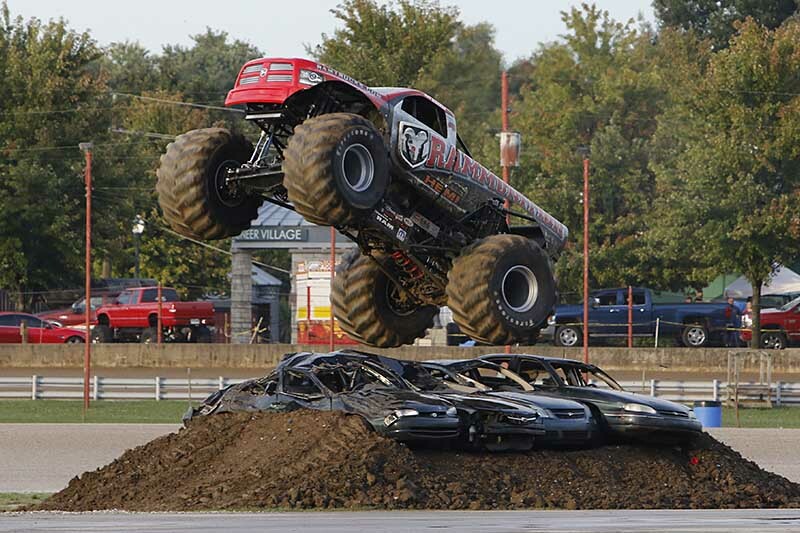 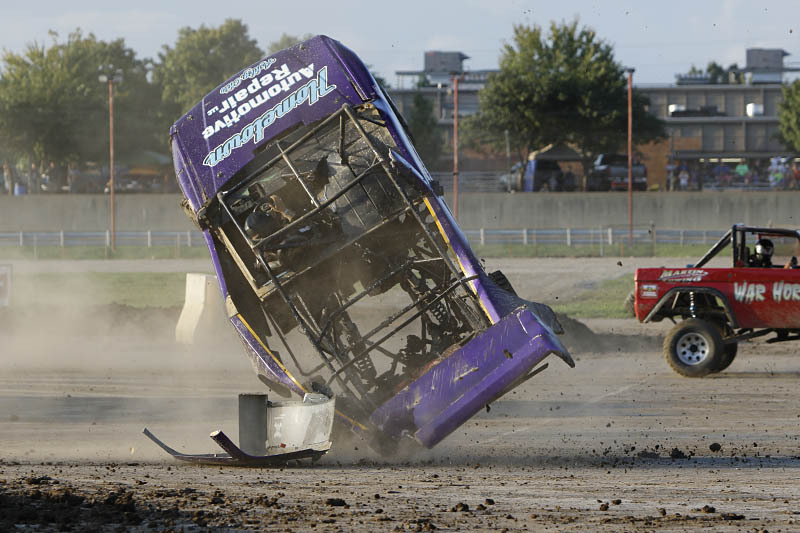 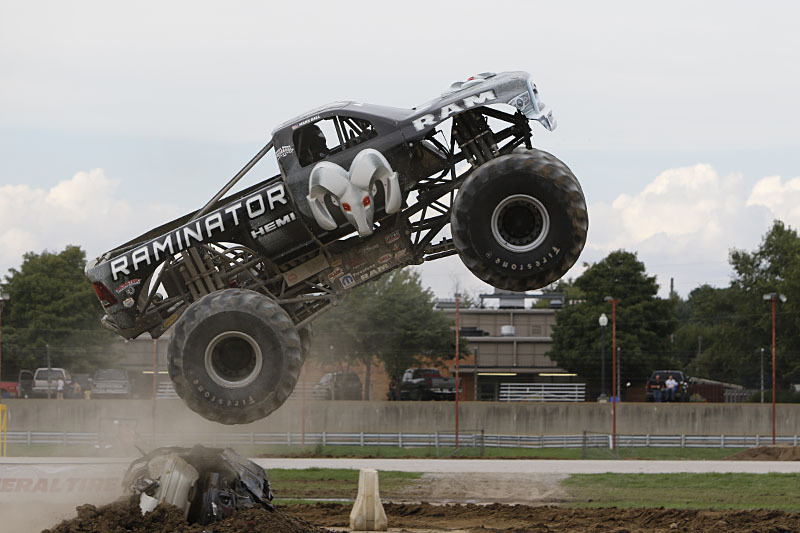 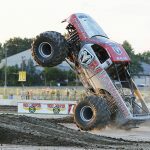 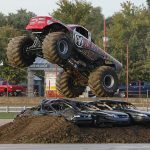 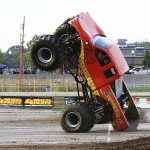 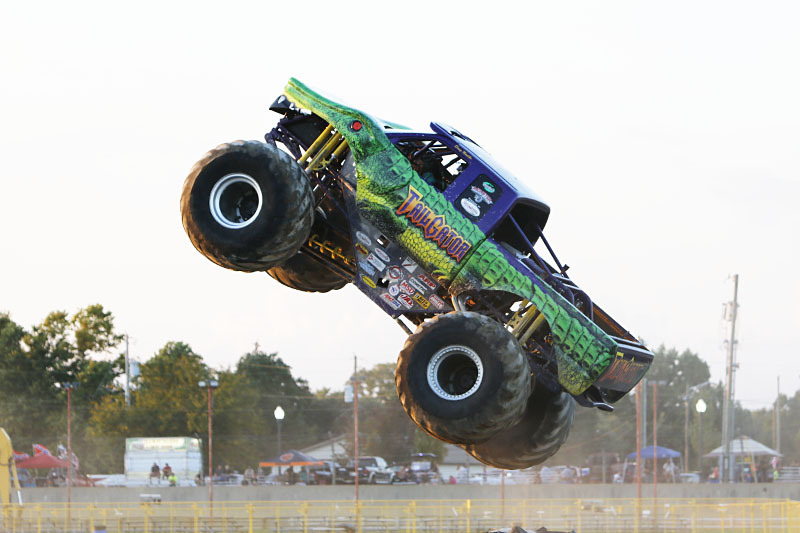 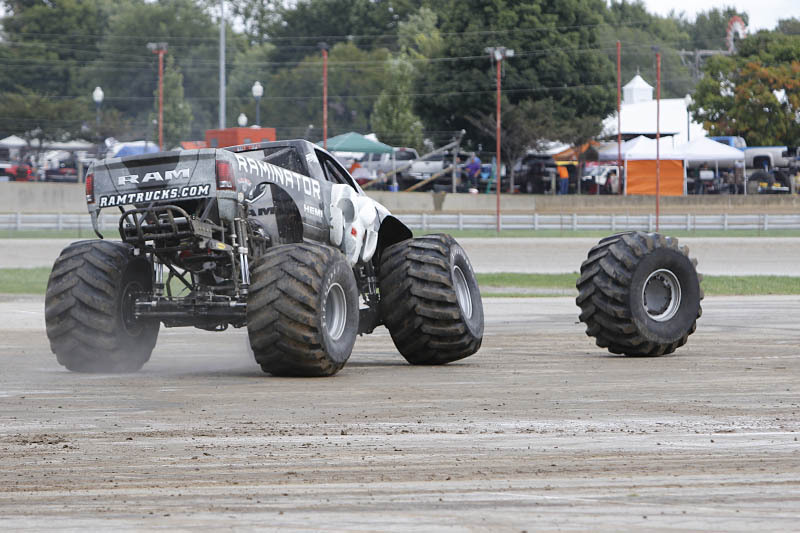 A new record of both classic and current monster trucks were on display throughout the weekend. 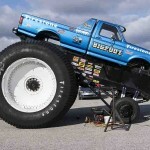 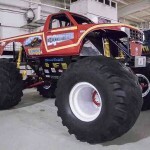 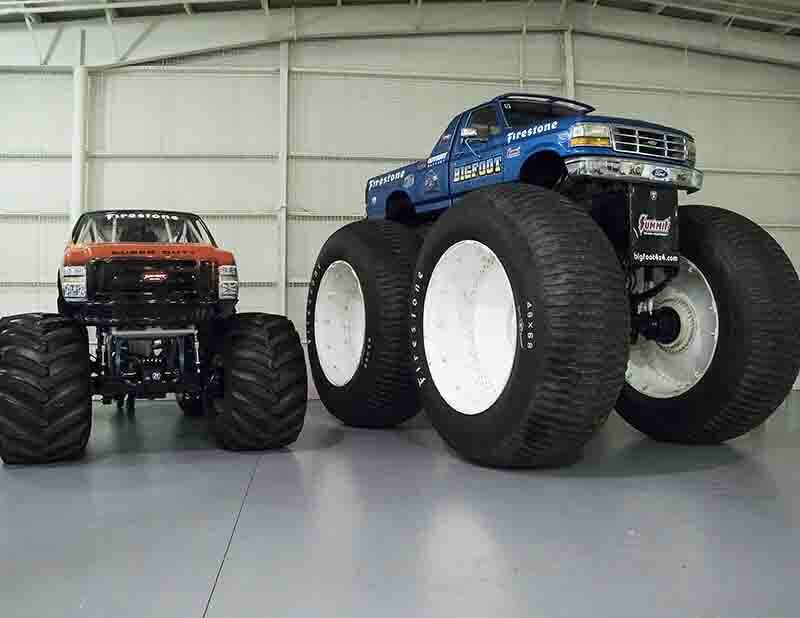 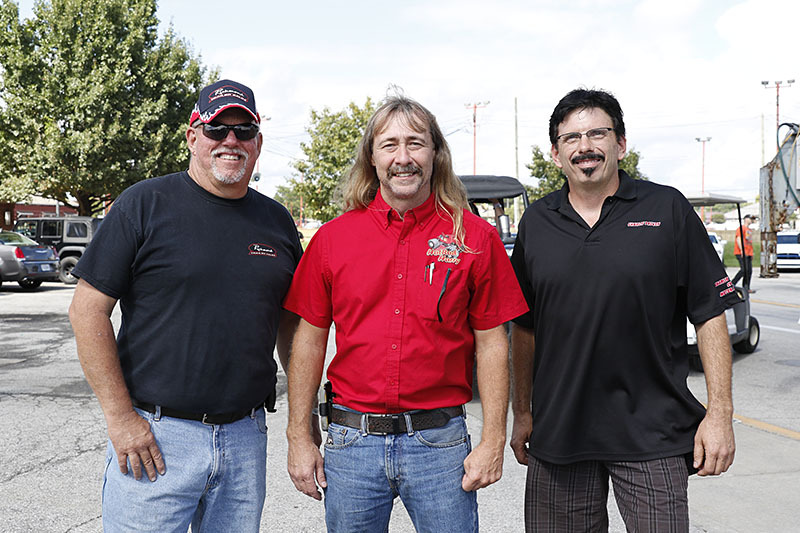 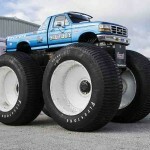 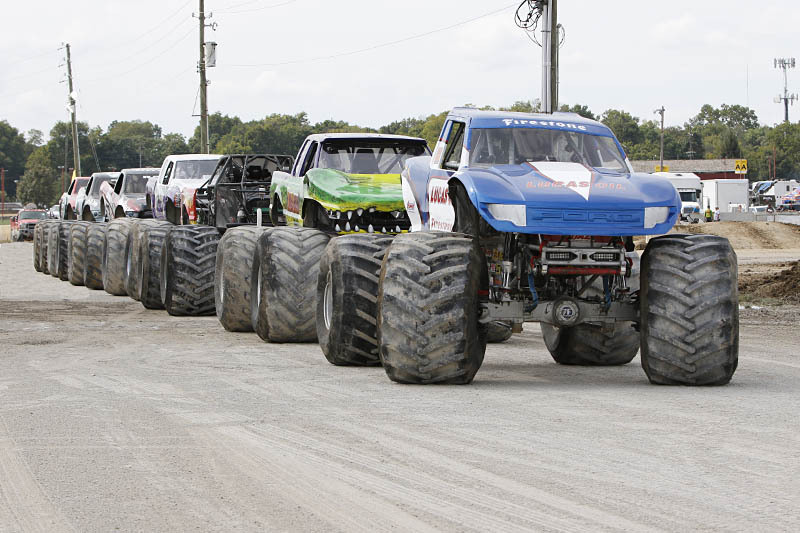 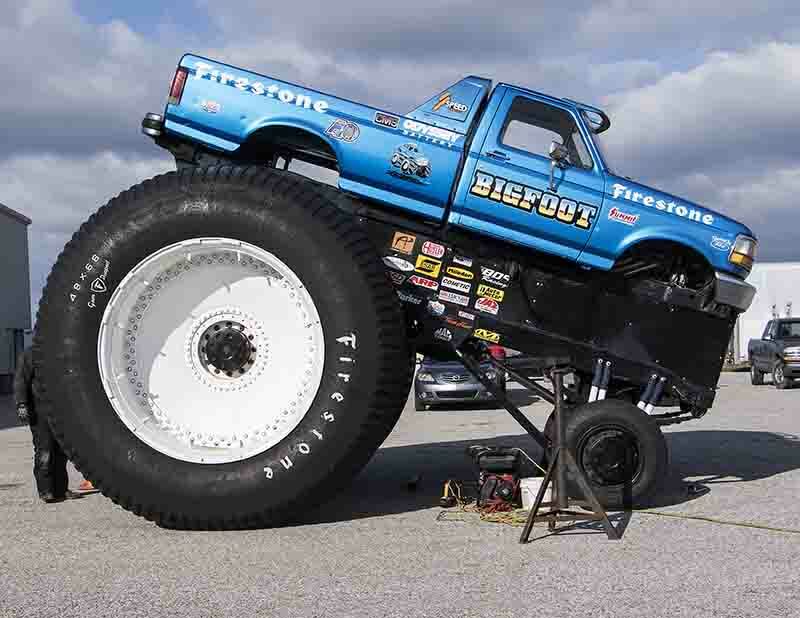 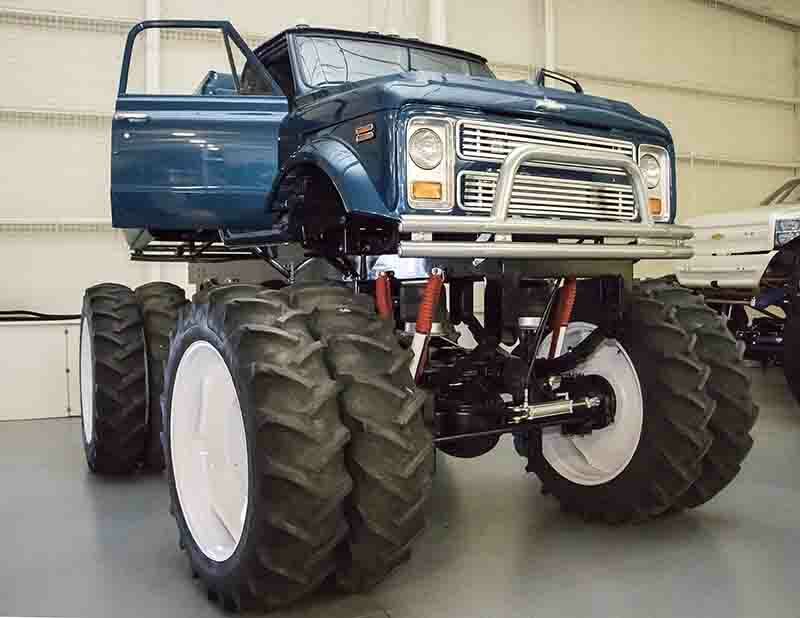 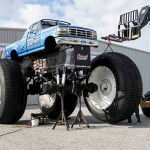 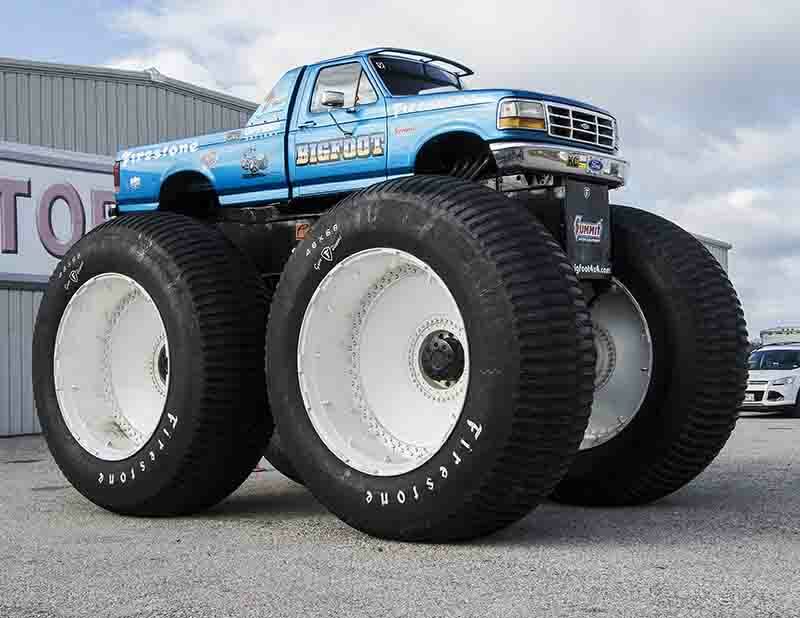 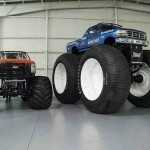 •	Team Bigfoot’s Original Monster Truck Bigfoot 1, the World’s Biggest Pickup Truck Bigfoot 5 and the World’s Only Electric Powered Monster Truck, Bigfoot 20. 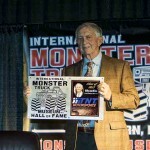 •	IMTM President and Creator Jeff Cook’s Shotgun Harry old school monster. 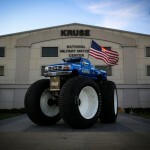 •	First Hall of Fame class member Jeff Dane’s replica of the original King Kong. 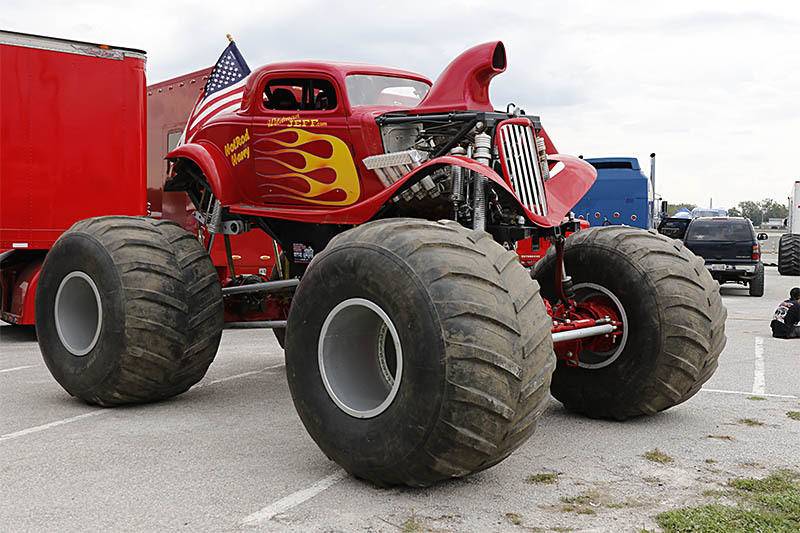 •	Andy Hoffman’s Nitecrawler tank, which was first Hall of Fame class member Allen Pezo’s Predator Tank earlier in its life. 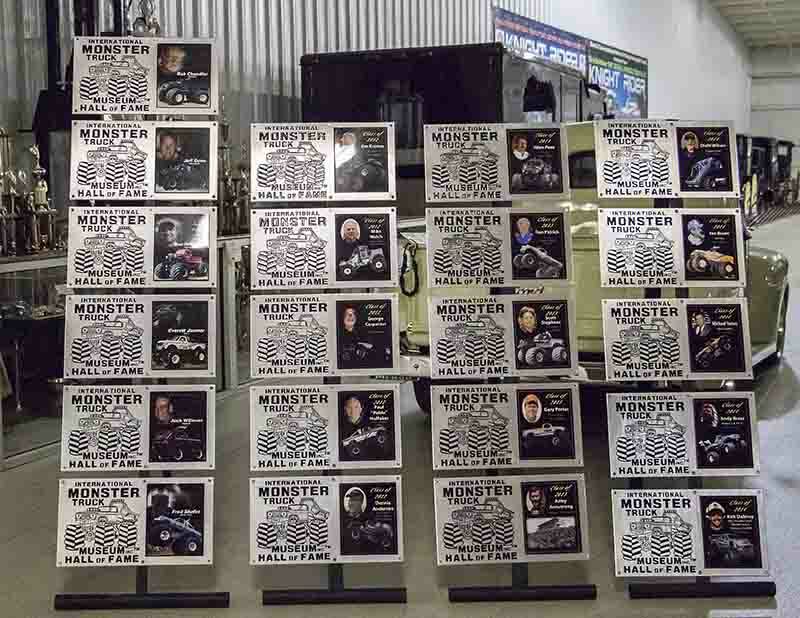 •	Regular attendee Thomas Borders’ 100% Monkey Business old school built monster. 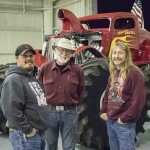 •	IMTM Vice President and third Hall of Fame class member Allen Pezo’s original Predator 1. 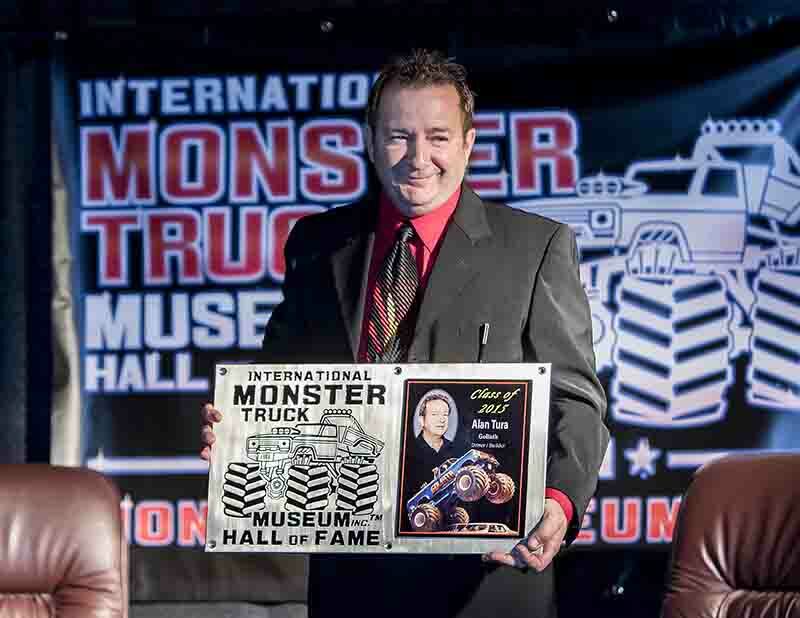 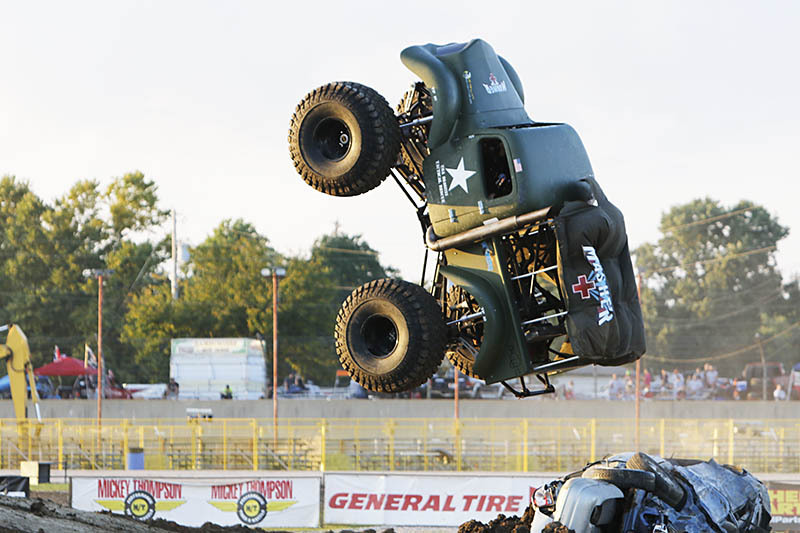 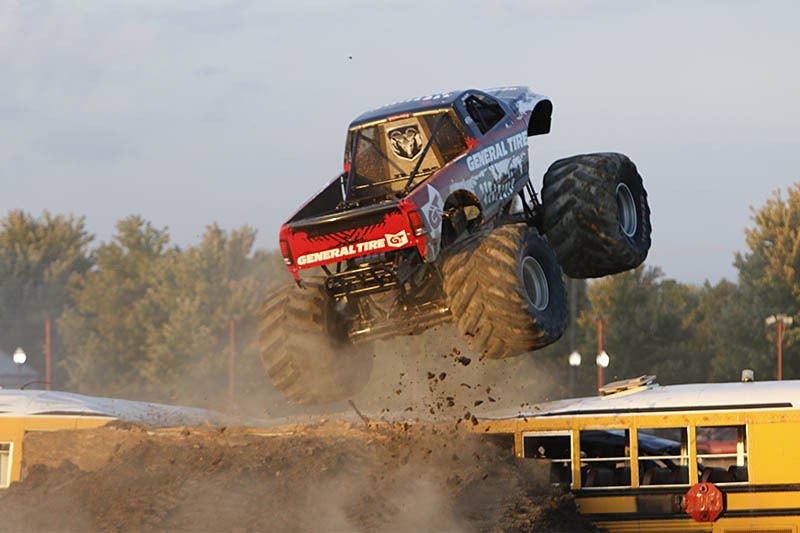 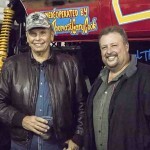 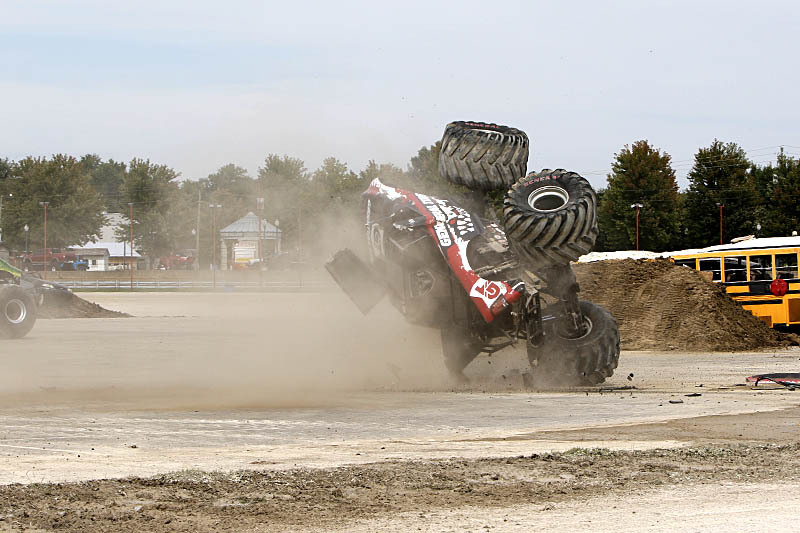 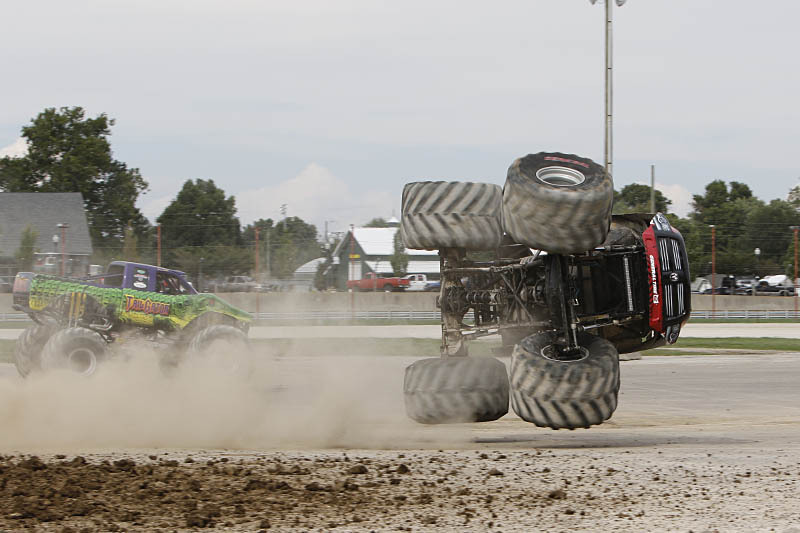 •	First Hall of Fame class member Everett Jasmer brought both the 1988 TNT Monster Truck Challenge Champion USA-1 and its 2015 twin, driven by Roger Gauger of Quadzilla notoriety. 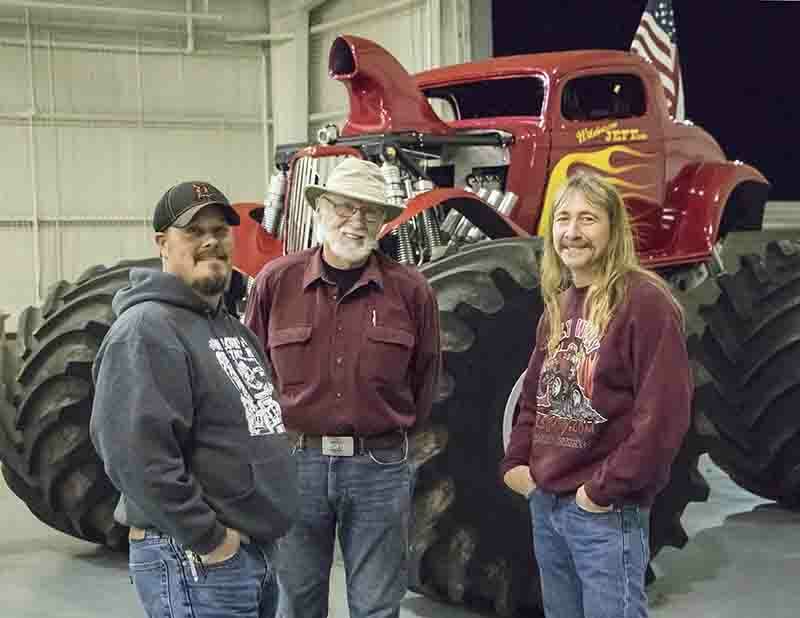 •	Breen Boyz and Team Bigfoot driver legendary for his role as the “evil” Snake Bite driver Colt Cobra, Gene Patterson. 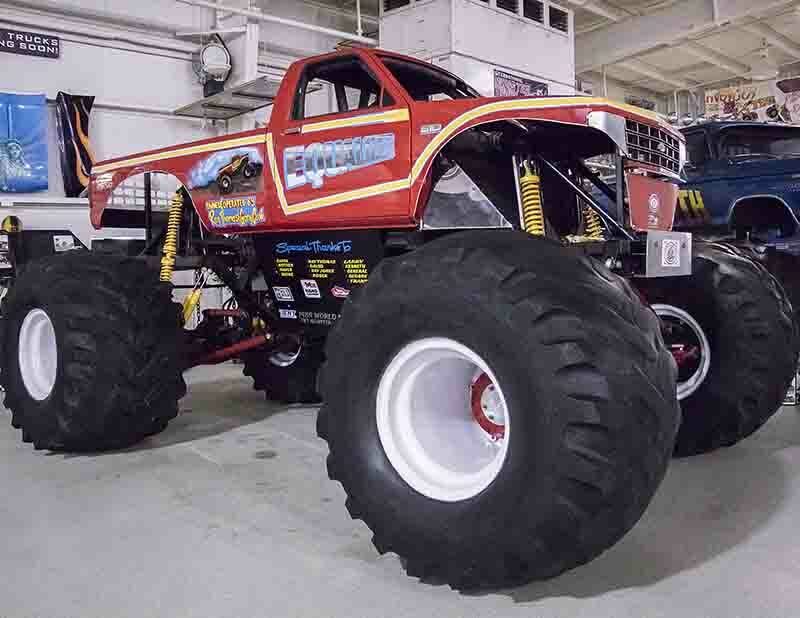 •	Owner, builder and driver of twin engine monster truck GOLIATH, its faster racing twin GOLIATH’S REVENGE, the jet powered G Force and the Transtormer robot. 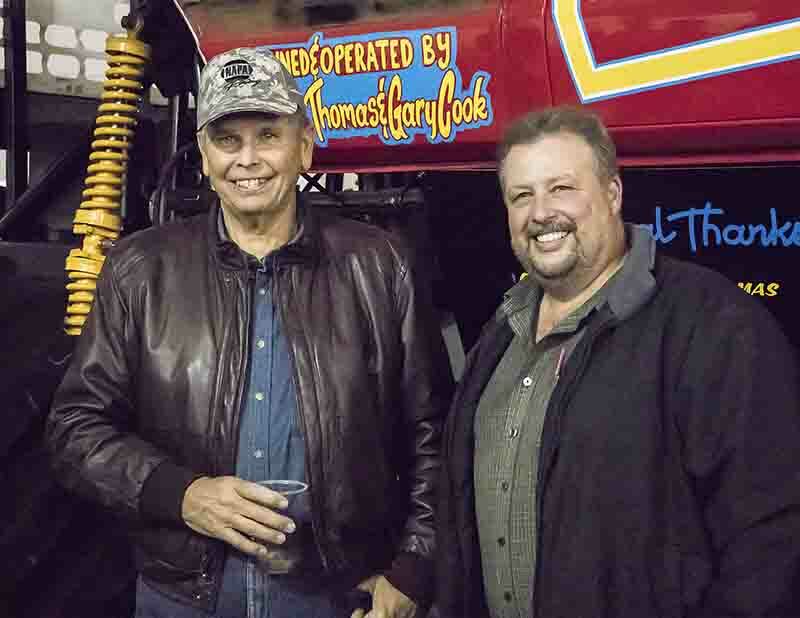 •	And original TNT Motorsports promoter Billy Joe Miles. 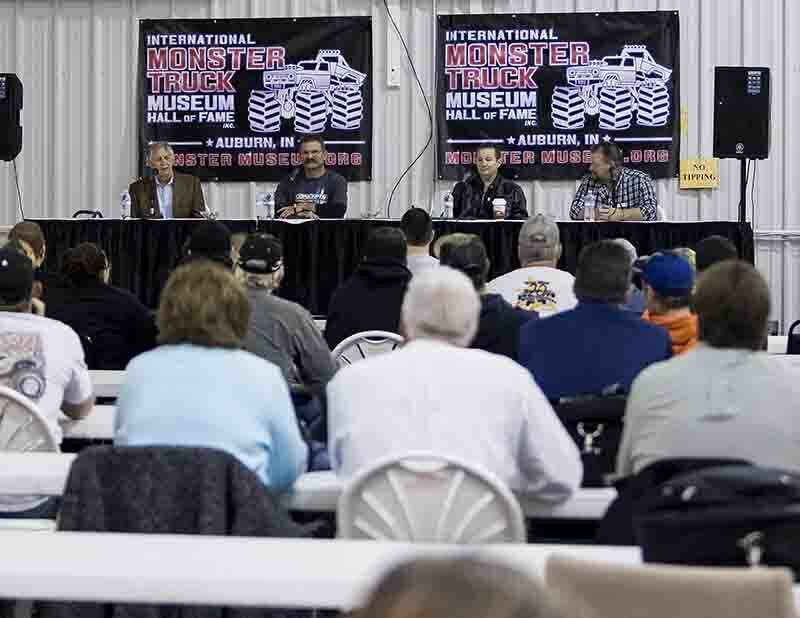 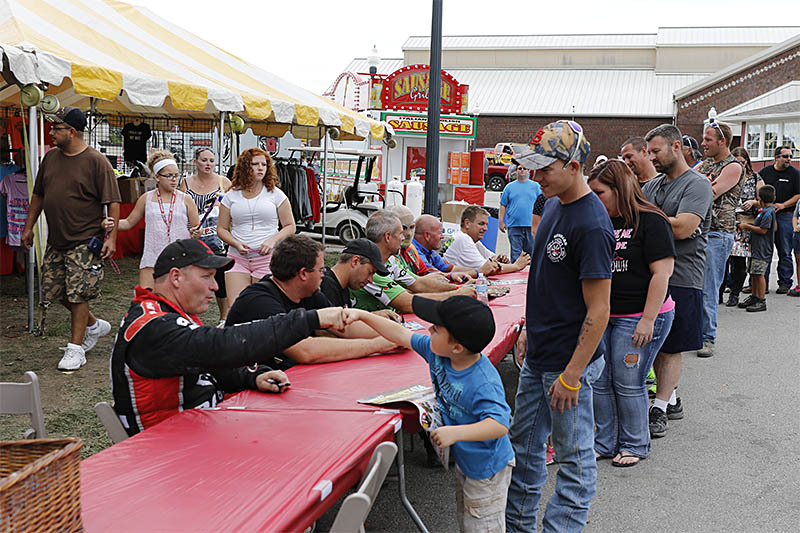 On Friday, a meet and greet between the inductees, past and current monster truck owners, media and fans was held. 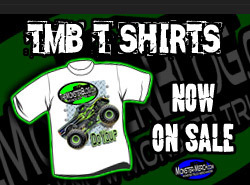 Meanwhile, the family of Jeff Cook sold a wide variety of official IMTM merchandise exclusive to those attending. 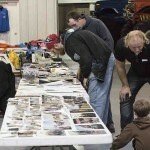 From large and small t-shirts to bumper stickers to mugs to pins, even rings, there was no shortage of items to choose from and all sales went to the museum. 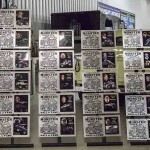 Several people set up display tables where merchandise of almost any kind conceivable was put on display for one and all to observe. 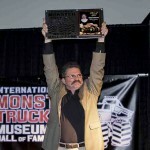 One such case was second Hall of Fame class member Mike Welch who brought never before seen photos and merchandise from his thirty-plus years of travels and shows. 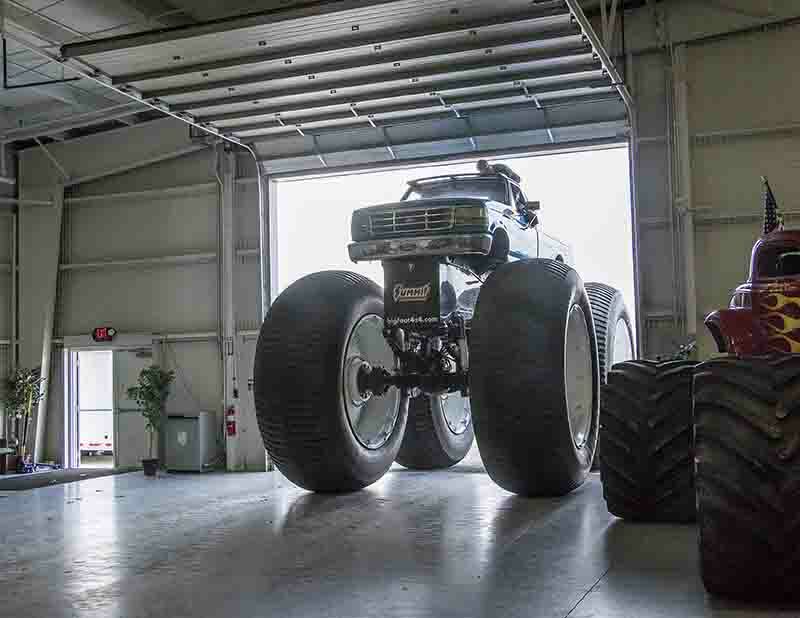 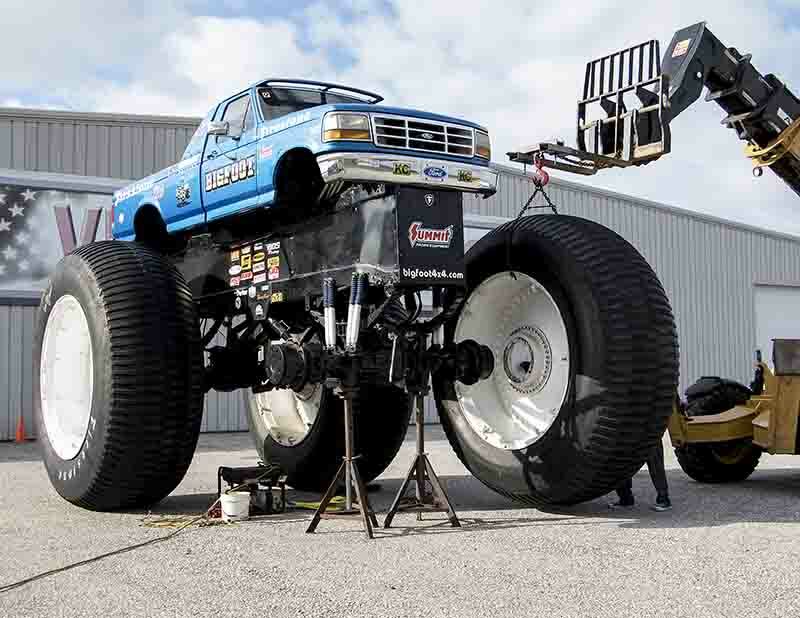 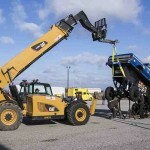 That evening, another classic monster truck was unveiled in the museum for the very first time, its restoration having been done under highly top secret conditions. 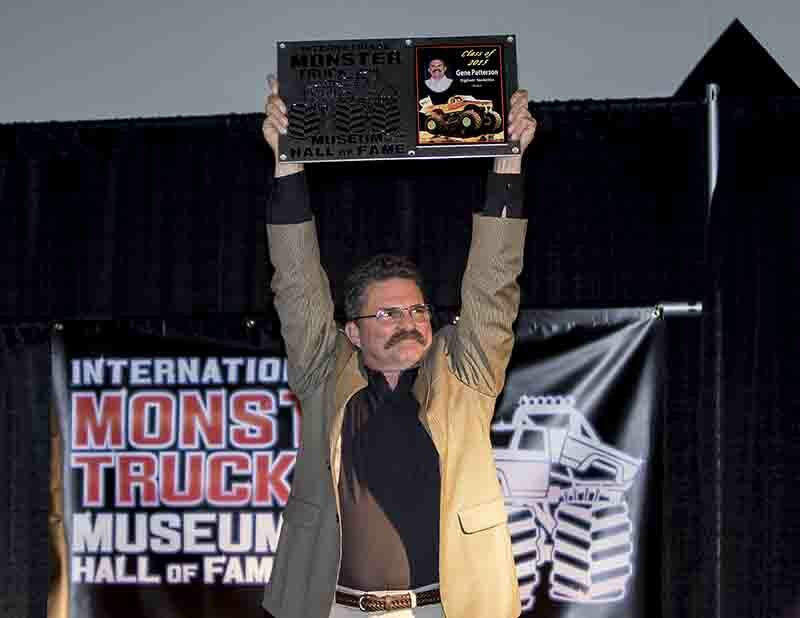 To the thrill and amazement of the attendees, the tarp came off to reveal the original 1989 TNT Monster Truck Challenge Champion truck; incoming inductee David Morris’ red Equalizer. 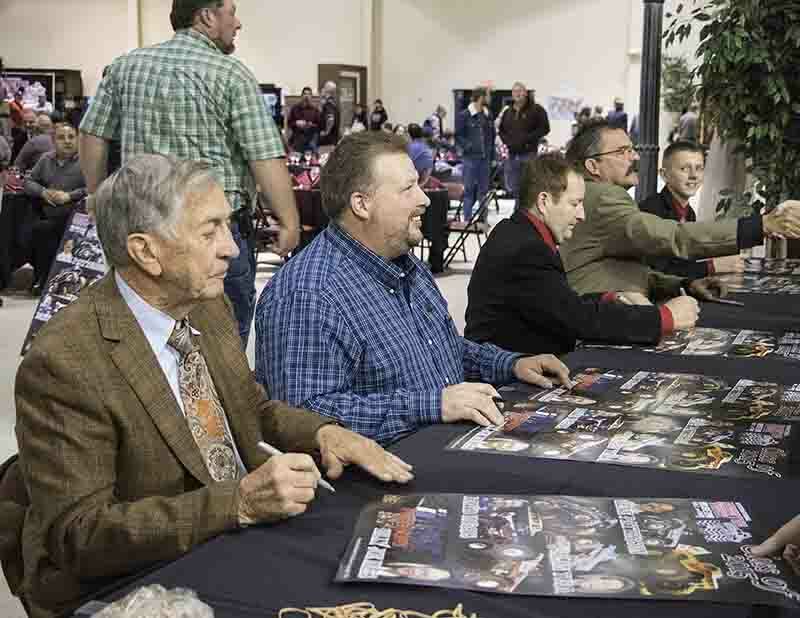 On Saturday, an IMTM tradition continued with a Q&A and history discussion with the Hall of Fame inductees. 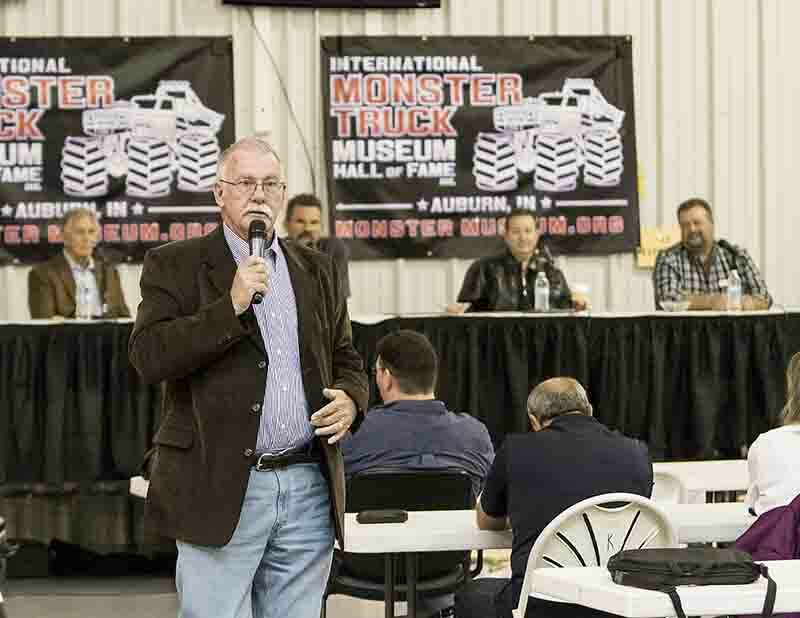 Some stories were from the road and comical, others regarded monster truck industry related people who sadly had passed away at some point. 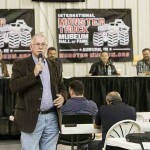 That night, a delicious meal was served as monster truck video footage exclusive to the IMTM was displayed for those in attendance and Army Armstrong entertained the diners. 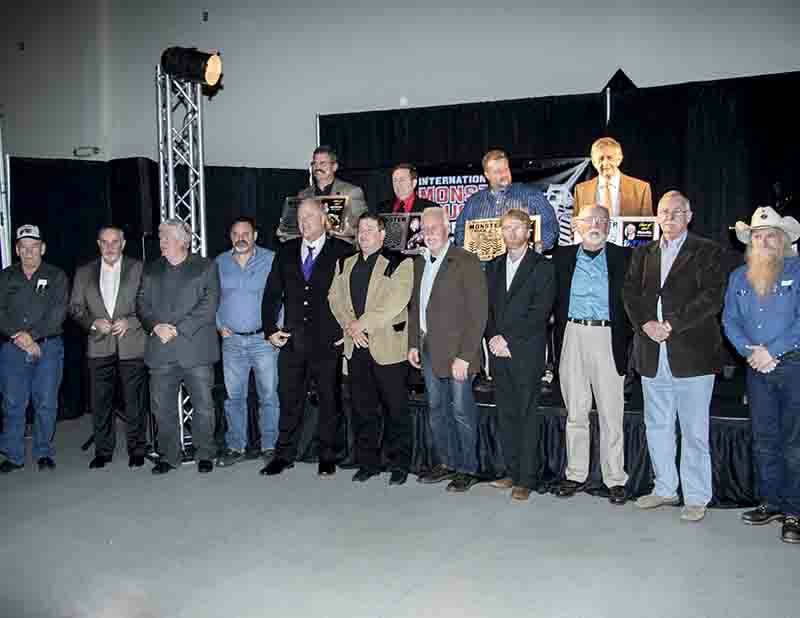 To get things started, numerous sponsors were thanked with a glass plaque featuring the sponsor’s name. 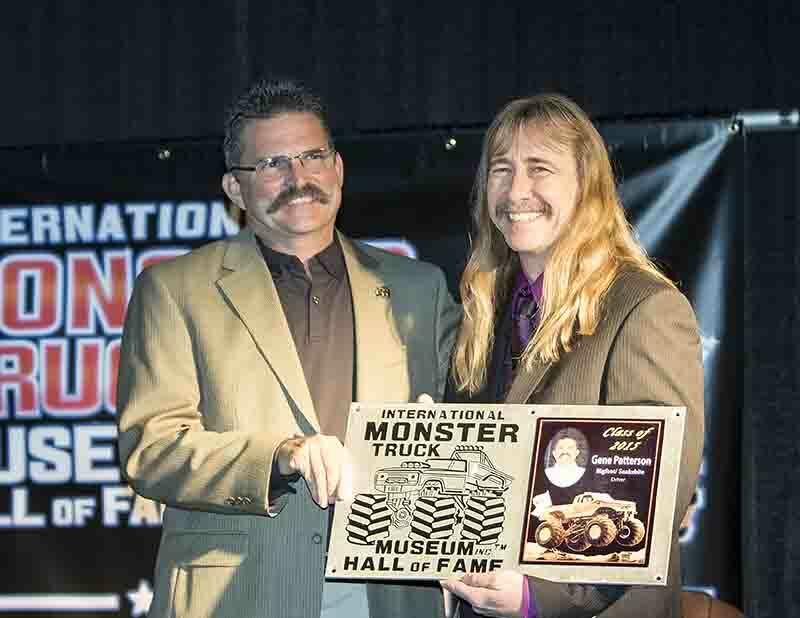 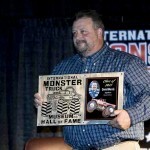 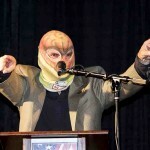 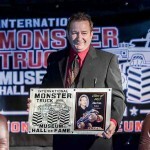 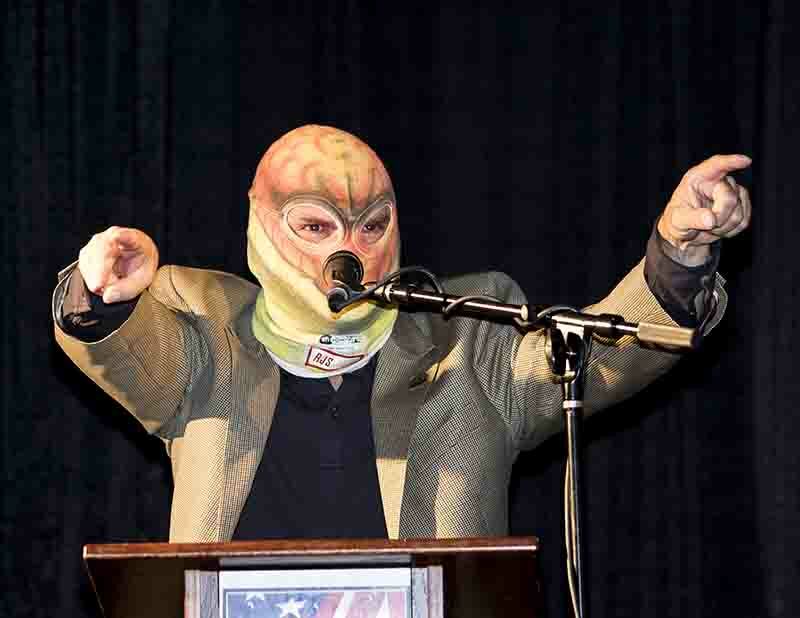 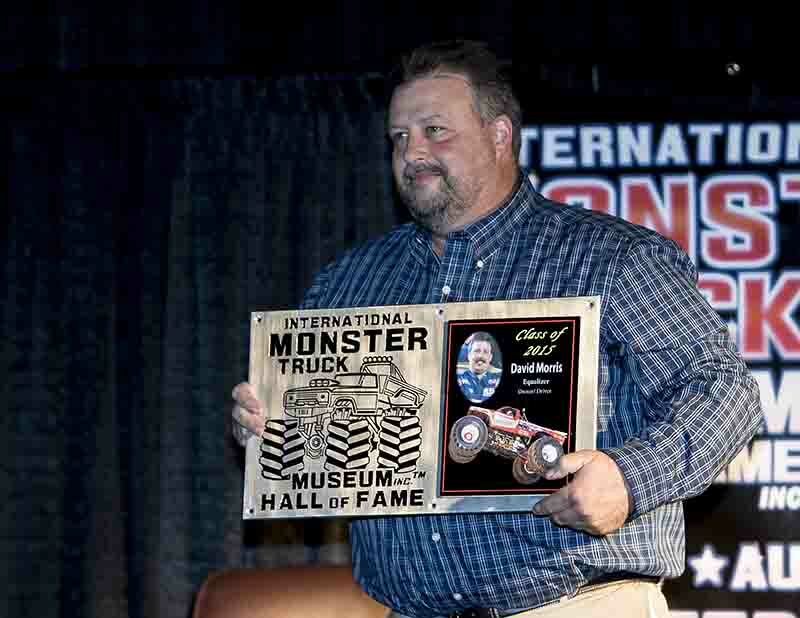 As each new member of the International Monster Truck Hall of Fame was inducted, they received a standing ovation from the audience both on his way to the stage and accepting his induction plaque. 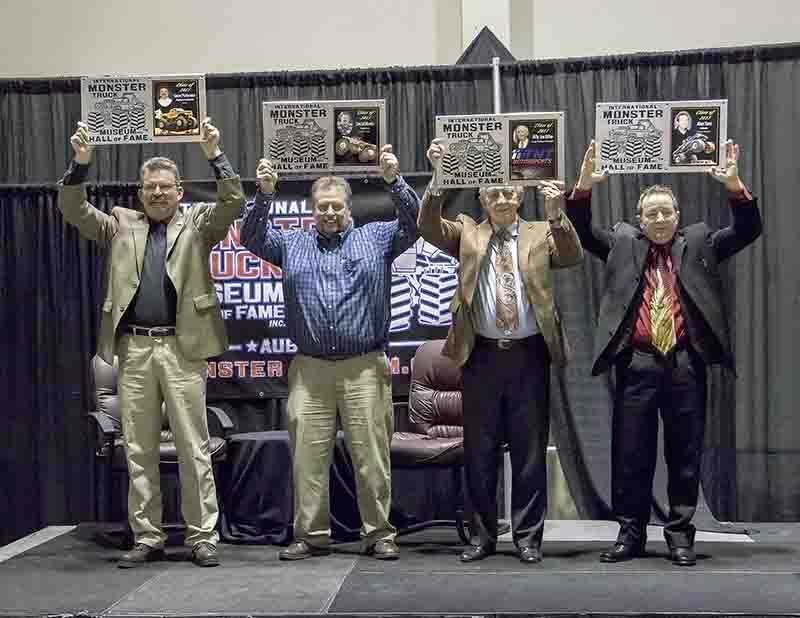 At the end of the ceremony, another tradition went on as an auction was held to raise more money for the IMTM. 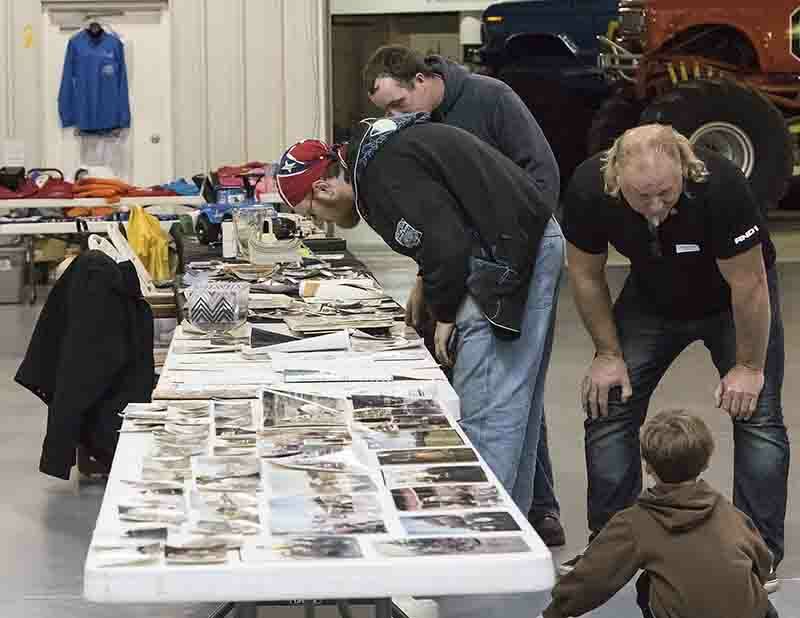 With Kruse Automotive and Carriage Museum creator and owner Dean Kruse as auctioneer and items abound to bid on, the bidding drama over each item was intense. 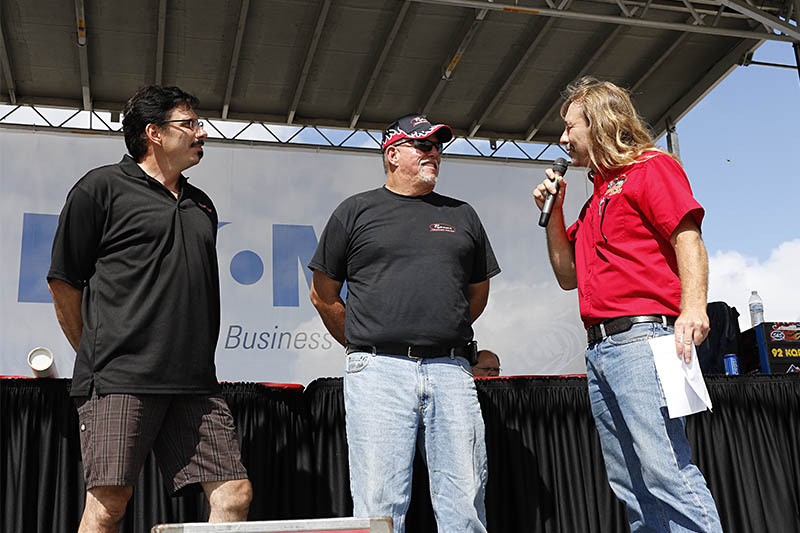 And that’s a wrap for us at “The Allen Report” for 2015, as we plan for the holidays and anxiously look forward to first quarter of 2016. 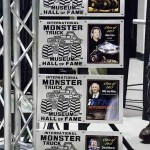 Well, thanks for reading, a special thank-you goes to Jeff Cook and the IMTM and Hall of Fame board of directors as well as all of our friends at themonsterblog.com for a moving and entertaining event. 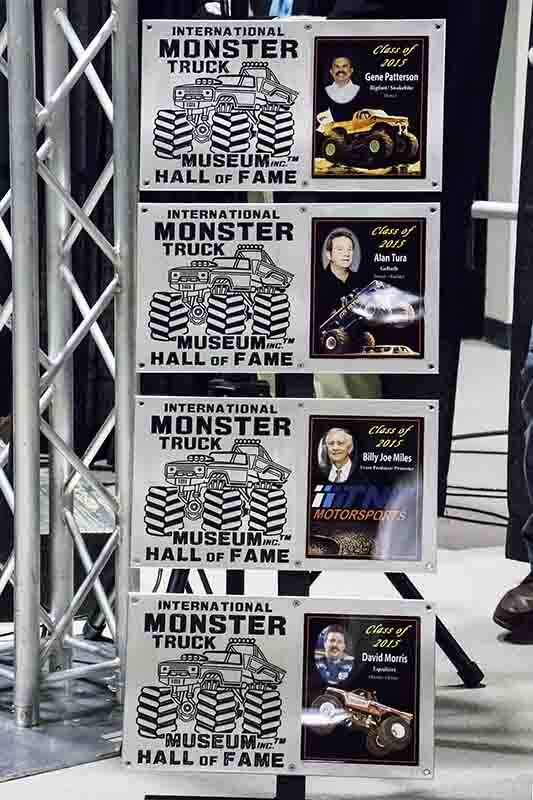 Thank you to all of our followers for reading, please enjoy the photos, don’t forget to follow us on Facebook and Instagram under the name “Monster Truckin’ with Jim and Chris”, and cheer on!